A COURT IN a rural Irish town was told the were suspicions a child who arrived in the State a year and a half earlier may have been trafficked. The child, who was of primary school age had arrived in Ireland as an unaccompanied minor. The case was among 38 included in the latest volume of the Child Care Law Reporting Project (CCLRP). The court extended an interim care order for the child for 28 days. A man claiming to be the adoptive father of the child was removed from the proceedings. The solicitor for the Tusla, the child and family agency, said the father of the child was deceased and the social work department was engaging with an international agency to locate the mother in Africa as her whereabouts were unknown. In another case included in the project, Tusla brought an emergency change of foster placement to the attention of the District Court in another rural town. A social worker said there had been non-accidental injury and suspected sexual abuse of a pre-school age child while he was in foster care. The child and his younger sibling had been on interim care orders over the previous six months due to allegations of neglect against the children’s mother. The mother was expecting a third child. The mother had supervised weekly access with the child. At an access meeting ten days previously, both the Tusla access supervisor and the mother observed significant bruising around the young child’s face. When asked, the foster parent was unsure as to how the bruising had occurred but thought it may have happened when the child fell on a wooden toy. The child was brought the same day for a GP consultation, where the GP found the injuries to be inconsistent with the explanation. The child was then referred to the local consultant paediatrician where he was admitted to hospital for further assessment for five days. The mother stayed in the hospital with the child. 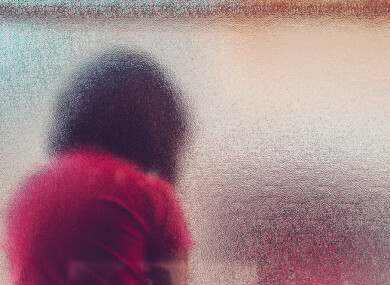 The consultant paediatrician confirmed non-accidental injury and based on the child’s responses to bruising on the back of his legs and buttocks raised the issue of child sexual abuse. A garda strategy meeting was held two days later, and it was agreed that a garda specialist interviewer would interview the child the following day in hospital in the presence of a Tusla social worker and the hospital’s sexual assault unit’s forensic physician. The child made no disclosure regarding how he sustained his injuries. The forensic physician could not rule in or out child sexual abuse. The social worker told the court the Tusla child protection team was assessing both the concerns of physical and sexual abuse and told the court that no action would be taken regarding the foster carer’s two birth children until their assessment was concluded. The two foster children had been removed. In six of the cases the project reported on, the mother was homeless at the time the case was being heard, though this was not the immediate cause of the application to take the children into care. The project said drugs, alcohol abuse and domestic violence continue to play “a major role” in decisions by Tusla to see interim care ordered, often followed by applications for full care orders. However in a number of cases where the possibility of reunification arose, this was made much more difficult due to the mother’s homelessness. Three of the reports concern situations where new-born infants were taken into care around the time of their birth. Two were challenged in the higher courts. In one, the High Court found that the forcible removal of a day-old baby from its breast-feeding mother was disproportionate, as alternatives had not been considered. The vulnerability of some children from ethnic minorities is also revealed in this volume of reports from the project. In one case the court heard a child’s mother, who was from an Asian background, was very vulnerable and it was suspected she was being forced into a marriage. The social workers met with the mother following an allegation that she had been raped. She said they attempted to meet with a disability service but the mother cancelled. The mother was also going to meet with an Islamic association.A psychological assessment was ordered. Commenting on the latest volume, the CCLRP director, Dr Carol Coulter, said it is “worrying that homelessness is emerging as an additional factor keeping children in care”. Email “Judge told child in rural Irish town may have been trafficked”. Feedback on “Judge told child in rural Irish town may have been trafficked”.